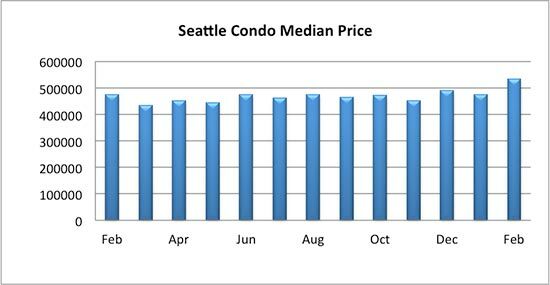 February was fantastic month for Seattle’s ever hot condominium market with rising values and increased sales activity. 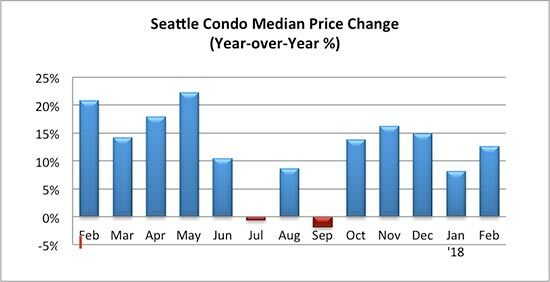 The citywide Seattle condo median sales price rose 12.64% over last February to set a new all-time record high of $535,000. The previous record high was $485,000. That’s still a bargain compared to the citywide single family median of $777,000, although, downtown’s median condo sales price was not far behind at $746,000. All areas of the city realized year-over-year improvement to values, most by double-digits (see table at bottom of post). 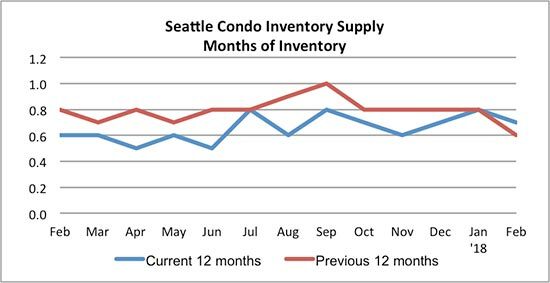 As we’d expect with the new year, inventory climbed in February to 164 active Seattle condos for sale. That reflected a one-year and one-month increase of 30.2% & 24.2%, respectively. We will see more listings come on the market as we progress through spring. On the other hand, the inventory supply rate dipped slightly to 0.7-months (sales divided by listings) due to increased sales activity for the month. The supply rate is a metric used to determine market conditions, and a rate of less than 3-months is a seller’s market. 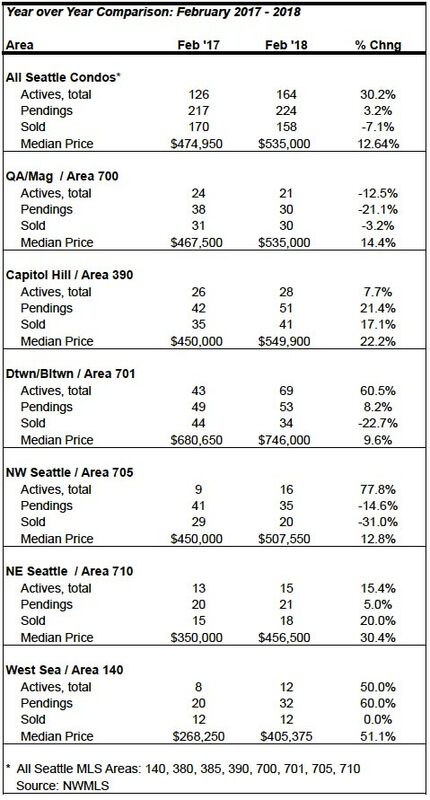 At 0.7-months of supply, Seattle remains entrenched in a tight seller’s market. Even though the number of listings increased it was not enough to satiate buyer demand with pending sales activity (listings with accepted offers) at 224 units in February, reflecting a one-month increase of 26.5% and year-over-year improvement of 3.2%. 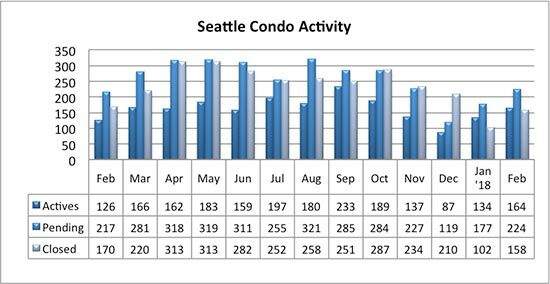 There were 158 closed Seattle condo sales transactions last month, which was 7.1% fewer than we had a year ago. Though several of the closing last February were new construction units at Insignia. Last year the NWMLS began tracking unlisted (off market) sales by brokers. 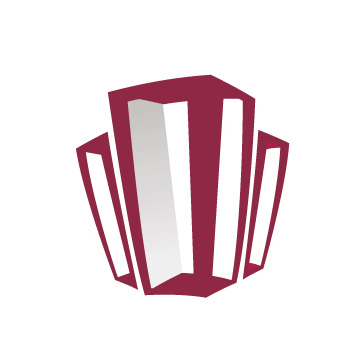 The unlisted sales are not included in the published NWMLS statistics. 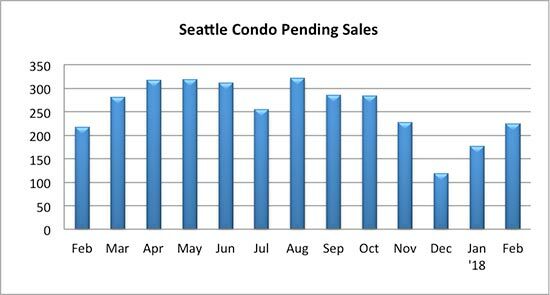 Last month there were 11 unlisted condo sales in Seattle, which would increase the total number of sales to 16 for February. For buyers, nothing changes. The market place will continue to be super competitive with limited inventory and rising prices. But, it you’re looking to own your own home, don’t let that dissuade you. 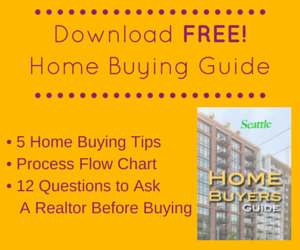 Let us help you navigate through Seattle’s crazy housing market with our effective buyer strategies. For sellers, continued strong buyer demand and the competitive environment will propel Seattle condo values further. 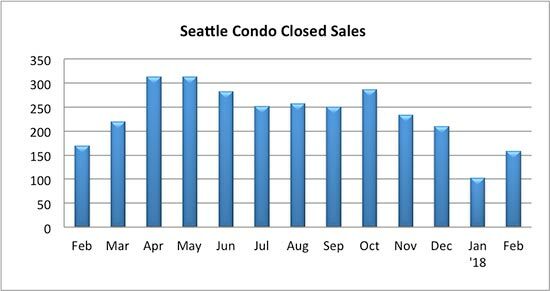 If you’re considering selling your Seattle condo, we are heading into the most active season of the year for condo sales. 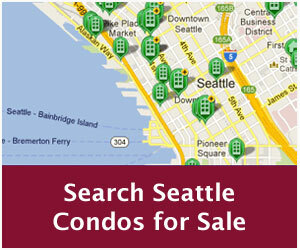 Want to know what your Seattle condo is worth? Let us help you get top dollar for your condo.